Papa John’s spirit lives on in all of us who were blessed to be at camp with him. I treasure those times. And a gift of love continues at Coppercreek with Lornie every day. Ahhh…thanks Trish. I have some pretty awesome help in the way of Craig and Becky Hogland. I believe this is one of the last pictures of Dad before his unexpected and untimely passing. I carry it with me and look at it every day. The greatest accomplishments we have in life are the relationships we leave behind us. He was the master at this. It was his gift to us. Some of my best memories of camp was getting to know Papa John when I worked with him in the business office. He was an amazing man. When I was growing up and we would come to visit Cousin Linda (as we knew her), John was always so kind to me. I was so afraid of everything when I was young. He could get me on a horse and guide me around, get me to pet an animal, he just helped me to not be afraid…he was a good man. Thanks, Heidi. That was really nice. My name is Christophe and I used to be a camper just like you guys. Well, that was more than 20 years ago. Maybe some will read this post and remember me (and I’m a cousin of Alik, Frederic and Guillaume Mery-Sanson from Mexico). It’s ok if you don’t, I wouldn’t expect you to, but I do remember my days at Coppercreek Camp and I certainly remember John. There is one thing in particular I will never ever forget. It was my second year at the camp, probably round 1990. I had arrived at the airport (in Sacramento I believe) a day earlier than planned. My parents got the dates all mixed up and there I was in that airport on my own with no one to pick me up. Back then I was not exactly fluent in English yet (I’m French but been living in England for 14 years now with a British wife so that part improved since). Anyway, I managed to reach the camp with some help from the airport staff and talk to John. I told him where I was and he said not to worry, that he’d come and pick me up. It was getting late in the afternoon. About an hour later John arrived. I was quite puzzled he had arrived so quickly because from what I could remember it was a rather long drive from Sacramento to the Camp (maybe not for you but I’m a European so our idea of what long distances are can be different). How did he manage to arrive so quickly then? Had he been speeding all the way from Greenville? Oh no, he’d been flying. Yes! I could not believe it. He had come to pick me up in a small aircraft (a two or four seaters) and this is how we went back to the camp. What a trip it was! I will never forget that : flying over the mountains, the amazing view from above…and John asking me midway through the flight if I’d like to fly the plane for a minute. I was 14 and in heaven. –	For my last birthday I gave myself a little gift: an initiation to flying a plane, the first step towards being an amateur pilot some day (in the distant future). It took me some time to get there but guess where I got the virus? –	I’m now the dad of a 2 ½ years old girl, with another baby to arrive in a month time. 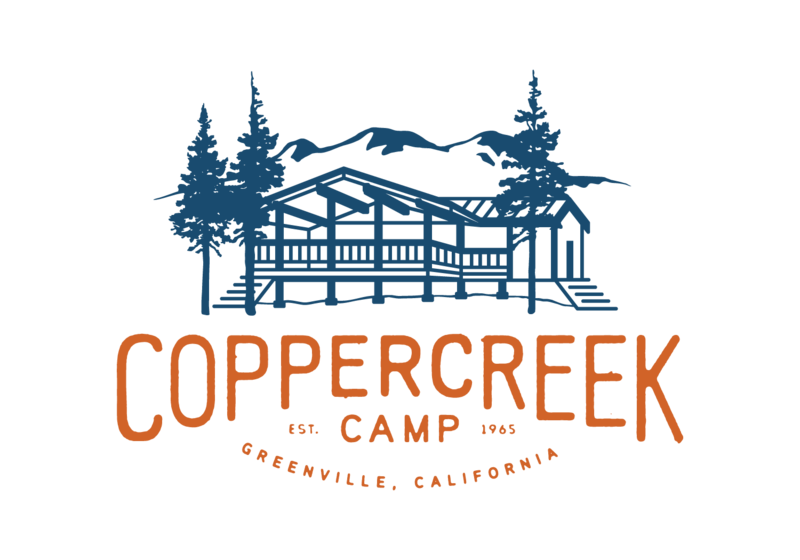 As I told my wife some time ago, I am starting to put some money aside now so they too can go to Coppercreek Camp when they’re old enough. I cannot think of a best place to go and spend a part of the summer and I have no doubt that just like me they’ll come back from it with memories to cherish for the rest of their lives. –	Last year, I was in San Francisco for business and stayed for about a week. On Saturday, I rented a car and drove all the way to Greenville. I wanted to see these surroundings again and it looked as beautiful as ever. So anyway, thank you all for the great time I had back then. So great to hear from you! I am going to put your comment into a blog post because I think people will be interested in reading it and sometimes the comments get a little buried. Do you have any pictures you can send me? I tried emailing you back but your email address is bouncing. I keep in touch with Alik, Guillaume and Frederic through Facebook. Alik was able to make it out to Dad’s Memorial. So great to see him! We can’t wait to meet your daughters in a couple of years. We enjoy the alumni children so much. Strange, this is a correct email address but please feel free to put this in a blog post. As for the picture, what type would you want (i could even find some of me back at the camp when I was young but i’d have to look in all these boxes full of pictures) and where should i send it? Oh- I want pictures from camp! :^) Send them to me. lornie@coppercreek.com Thanks! Can’t wait. This was our very first post on our blog. I still see Dad, everyday, in so many things around camp: the buildings he built, the traditions he started, the memories he made.